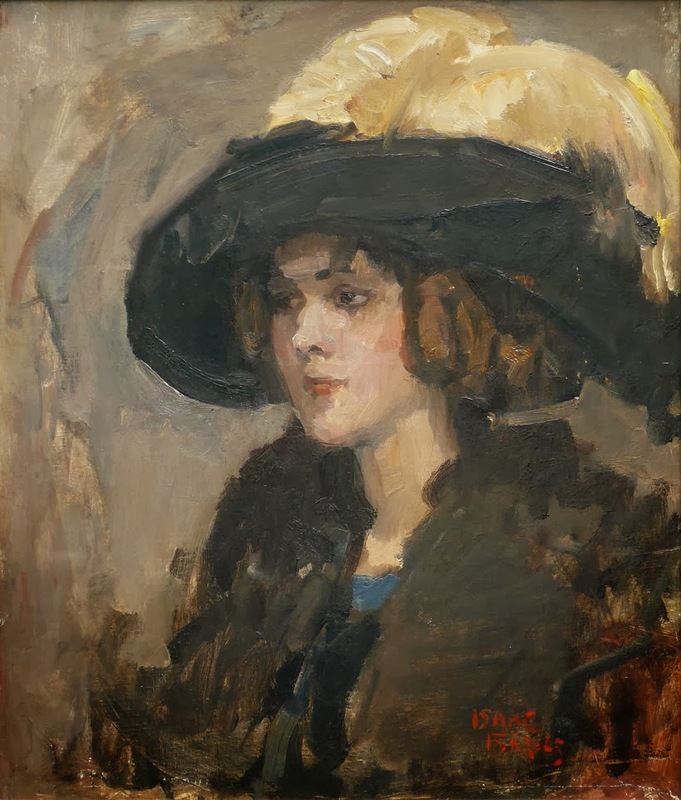 Isaac Lazarus Israëls (1865-1934) was a Dutch painter associated with the Amsterdam Impressionism movement. 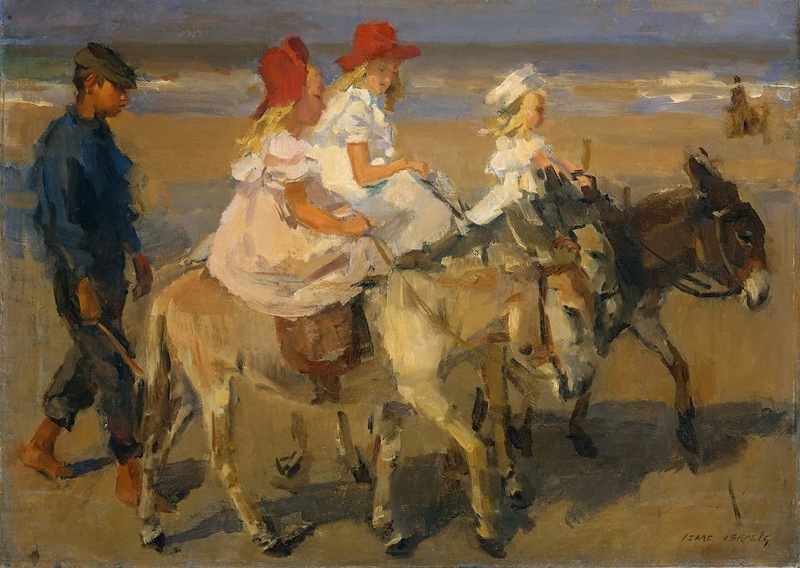 The son of Jozef Israëls, one of the most respected painters of the Hague School, and Aleida Schaap, Isaac Israëls displayed precocious artistic talent from an early age. 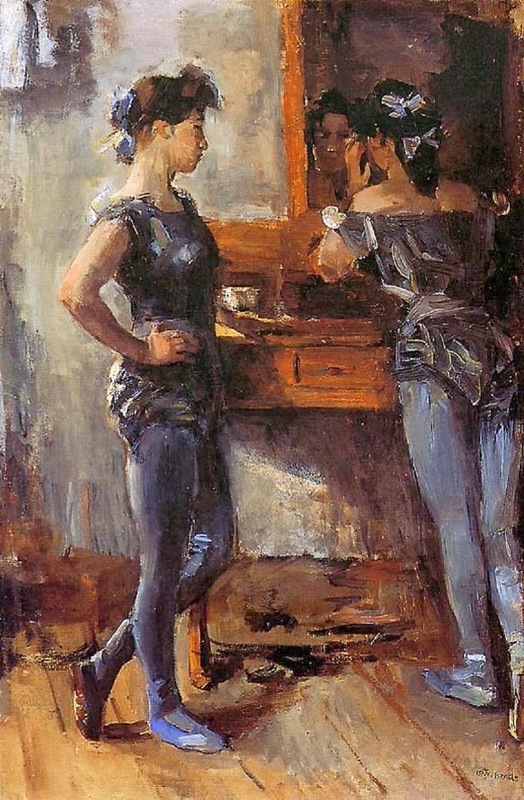 Between 1880-1882 he studied at the Royal Academy of Art, The Hague, where he met George Hendrik Breitner who was to become a lifelong friend. 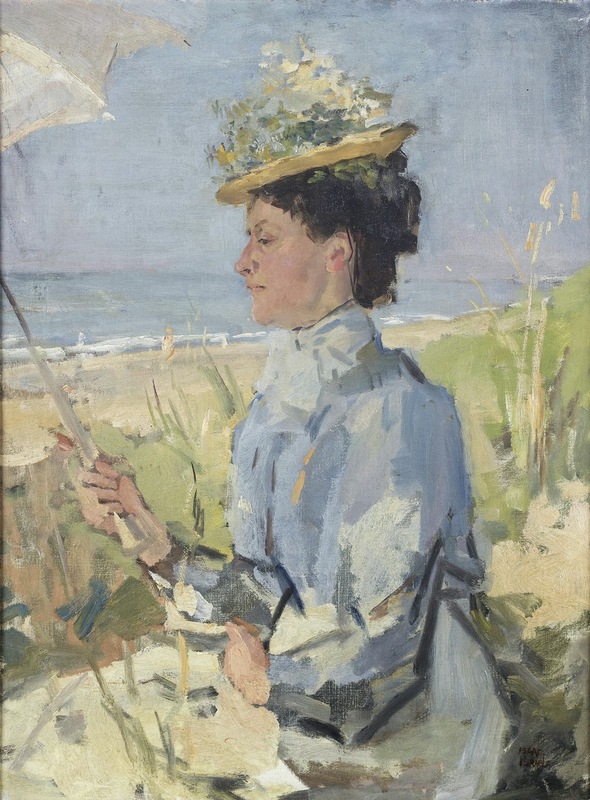 In 1881, when he was 16, he sold a painting, Bugle Practice, even before it was finished to the artist and collector Hendrik Willem Mesdag. 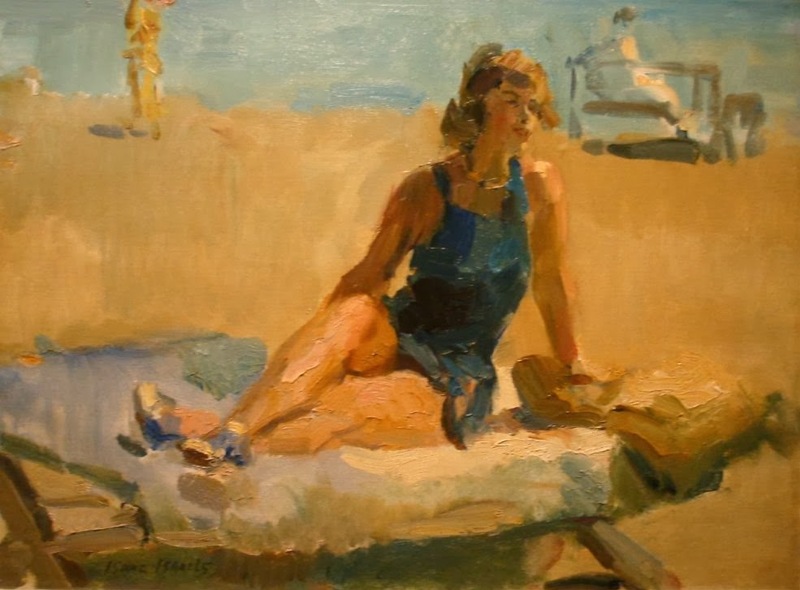 Two portraits he made in the same year of his grandmother and a family friend, Nannette Enthoven (below), attest the technical ability he had attained by that age. Starting 1878, Israëls made annual visits to the Salon des Artistes Français with his father and in 1882 made his debut there with Military Burial. In the 1885 Salon he received an honourable mention for his Transport of Colonial Soldiers. 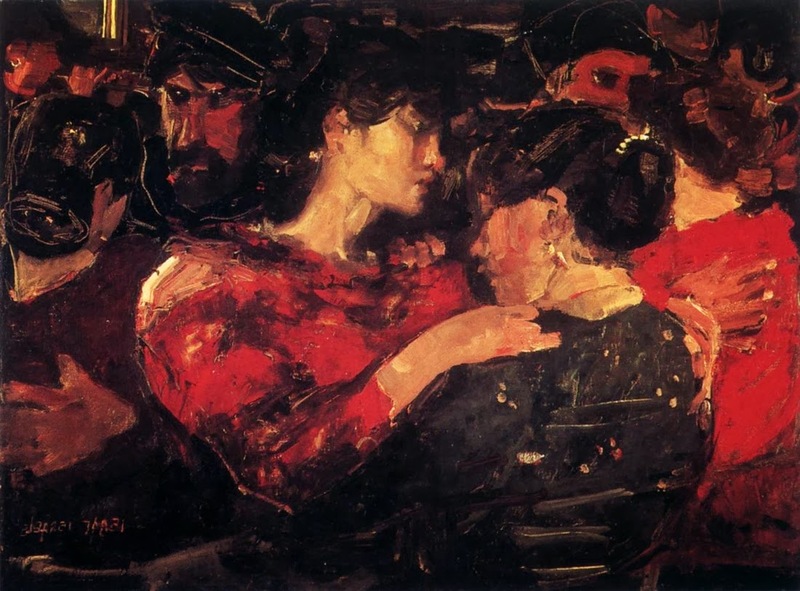 At this time he was reading Émile Zola, as was Breitner, and following his triumph at the Salon he spent a year travelling in the Belgian mining districts and elsewhere. 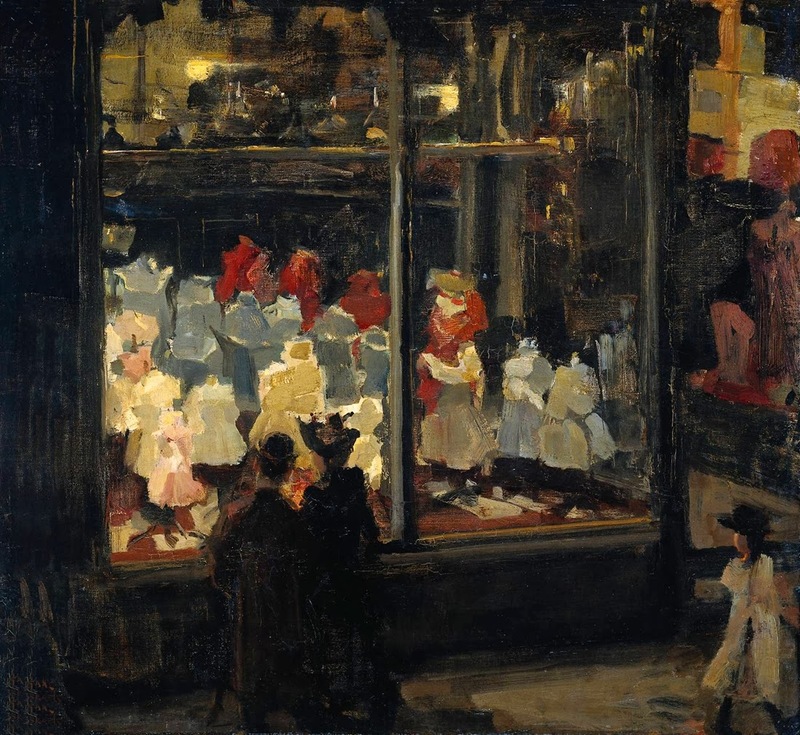 Beginning 1886, Israëls lived in Amsterdam and registered with Breitner at the Royal Academy of Visual Arts to complete his schooling. 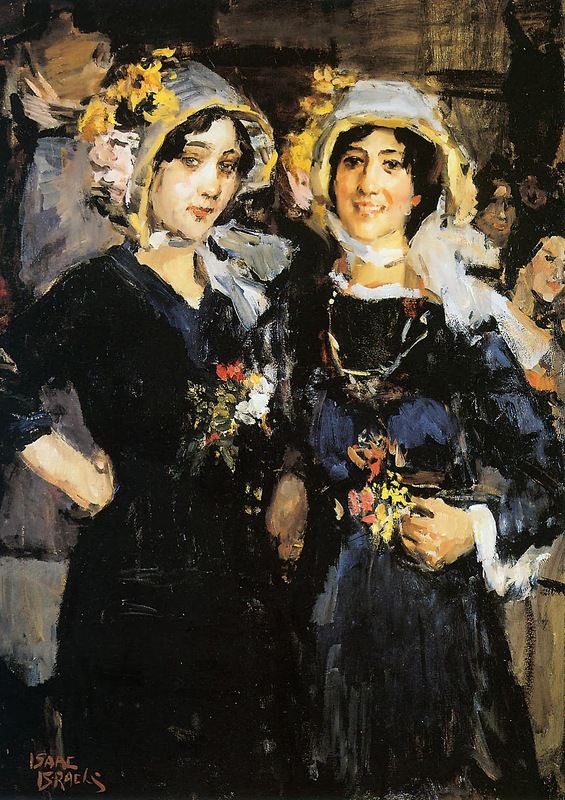 Both of them, however, quickly abandoned the academy for the more progressive circle of the Tachtigers, an influential group of writers and artists of the time. 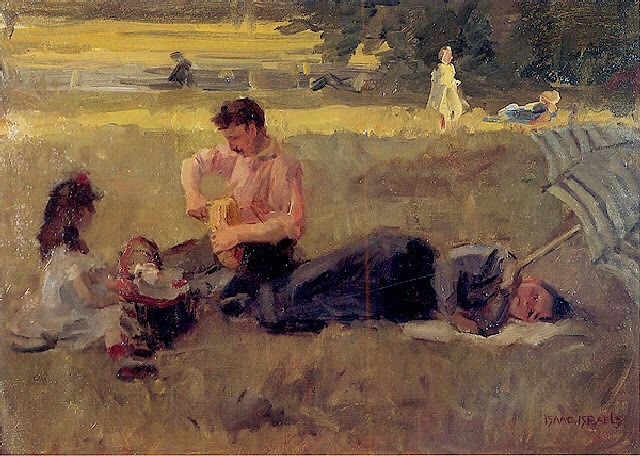 This was a group that insisted style must reflect content and that emotionally charged subjects can only be represented by an equally intense technique. 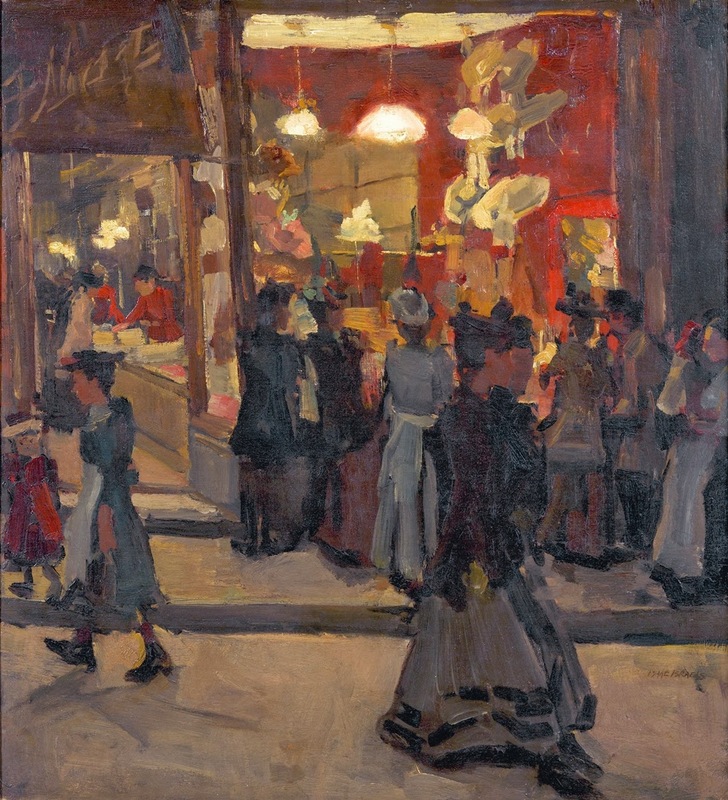 Influenced by this philosophy, Israëls became a painter of the streets, cafes, and cabarets of Amsterdam. 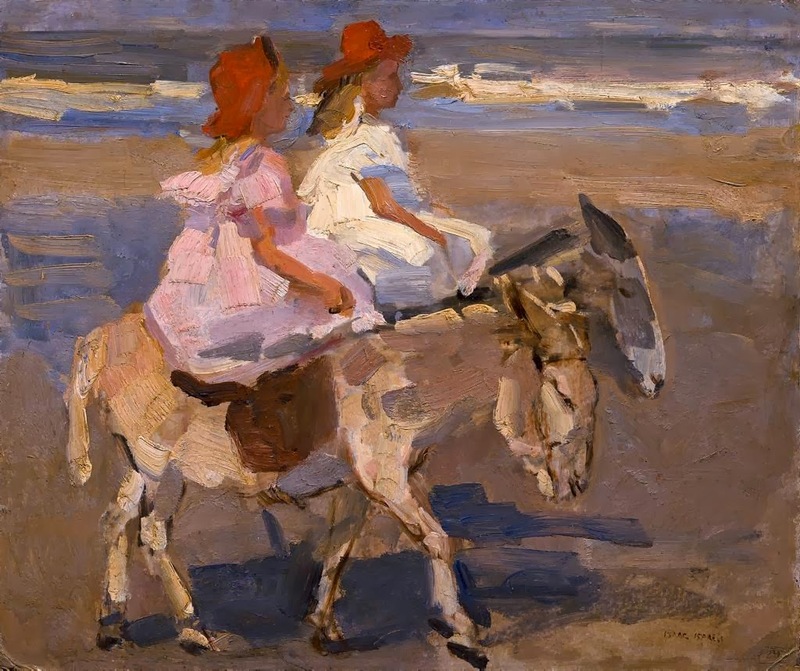 At this time he met the Dutch engraver and painter Willem de Zwart who also became a lifelong friend. 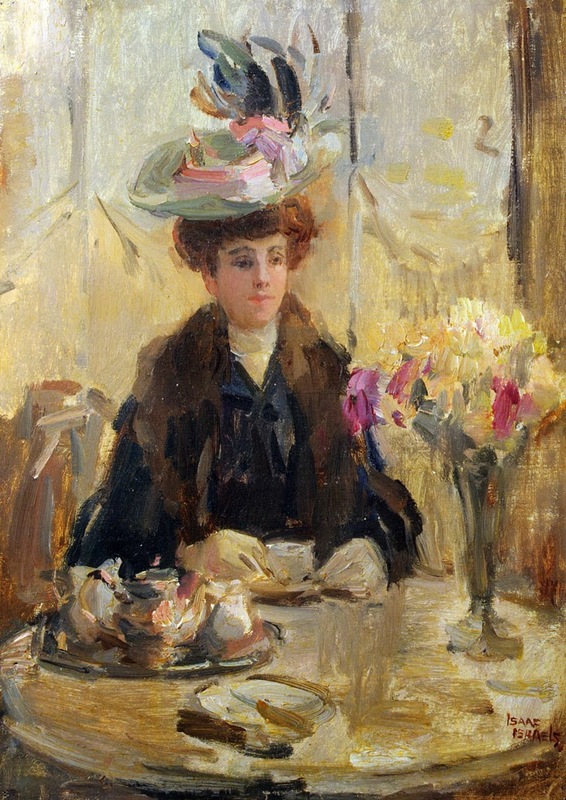 Towards the end of the century, Israëls was introduced by his childhood friend and portrait painter Thérèse Schwartze to the Amsterdam fashion house Hirsch (fashion) at the Leidseplein. 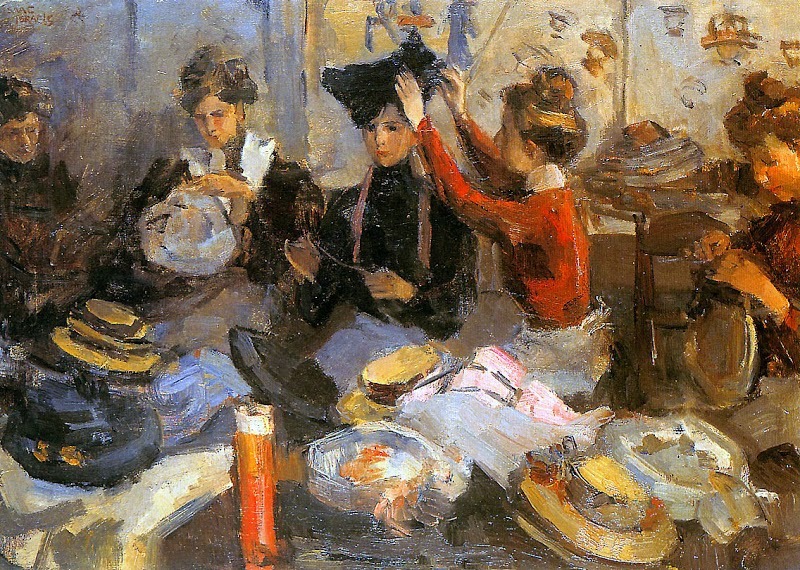 Israëls portrayed the whole range of the world of haute couture, from wealthy clients to toiling seamstresses, gaining access even to the dressing-rooms. 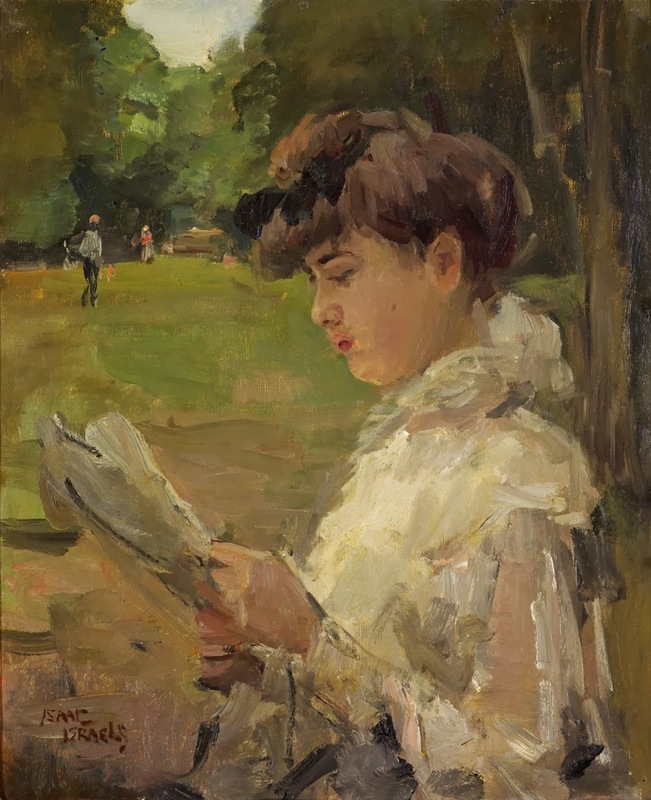 Israëls moved to Paris in 1904, establishing his studio at 10 rue Alfred Stevens, near Montmartre and just yards away from the studio of Henri de Toulouse-Lautrec whom he admired, as he also did Edgar Degas. 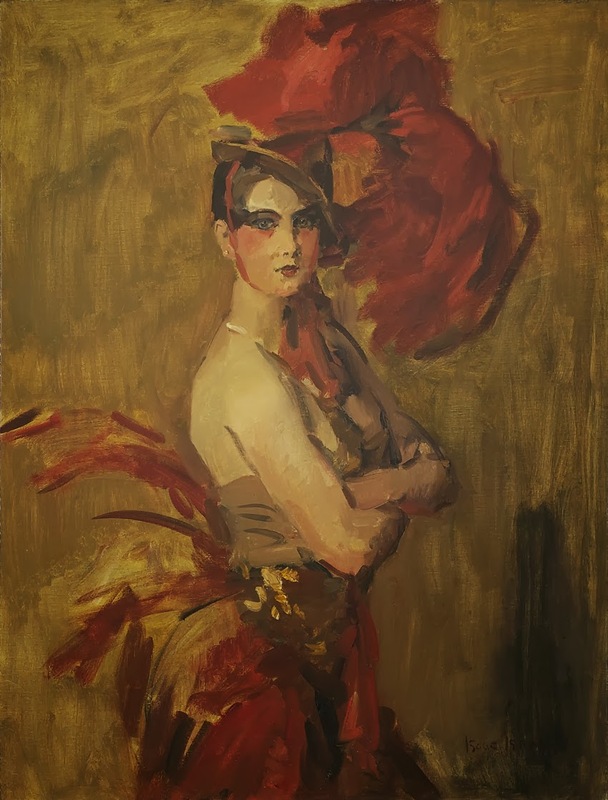 As in Amsterdam, he painted the Parisian specific motifs: the public parks, cafes, cabarets and bistros, as well as such subjects as fairgrounds and circus acrobats. Likewise he sought out the fashion houses Paquin and Drecoll to continue his studies of the world of fashion. However, he only exhibited once in this period, in 1909. 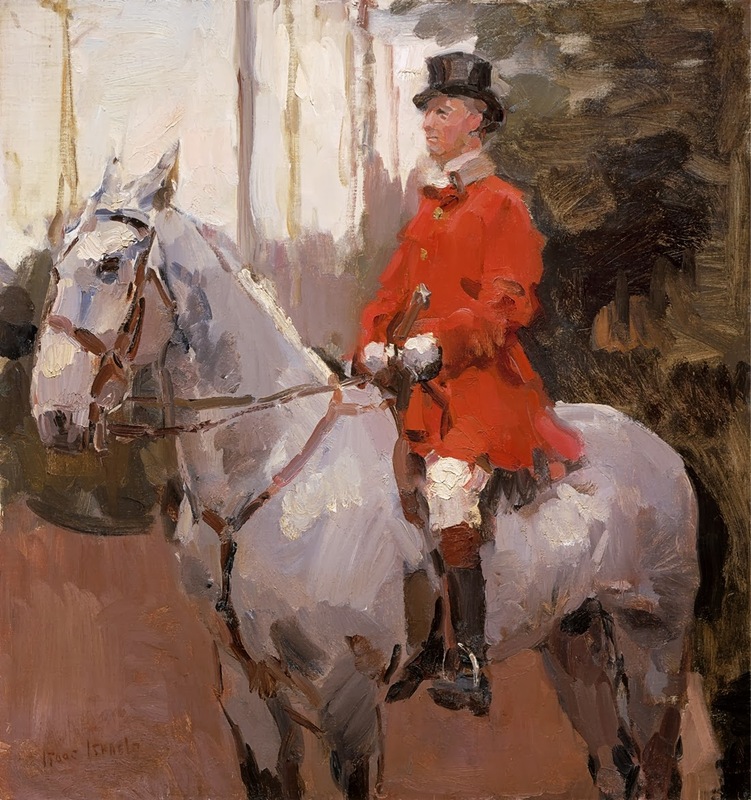 At the outbreak of the First World War he was living in London, where he found new subjects in horse-riding at Rotten Row and in ballerinas and boxers. 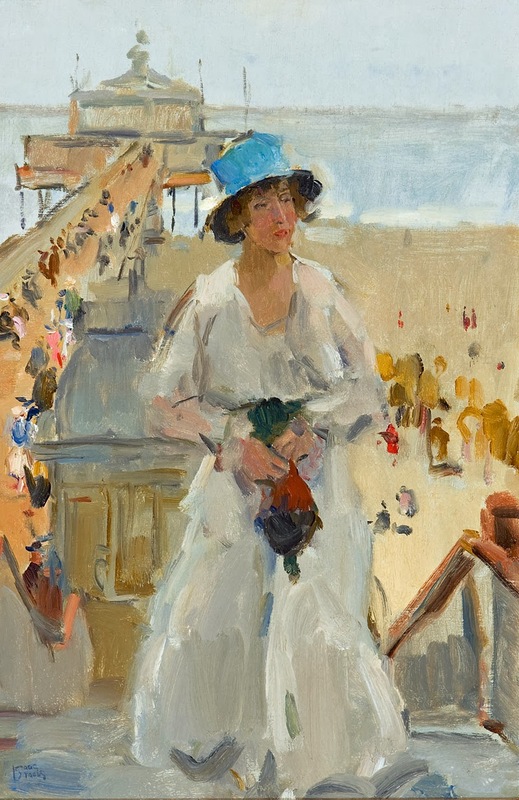 He returned to Holland for the duration of the war, living alternately in The Hague, Amsterdam and Scheveningen, where he worked primarily as a portrait painter. 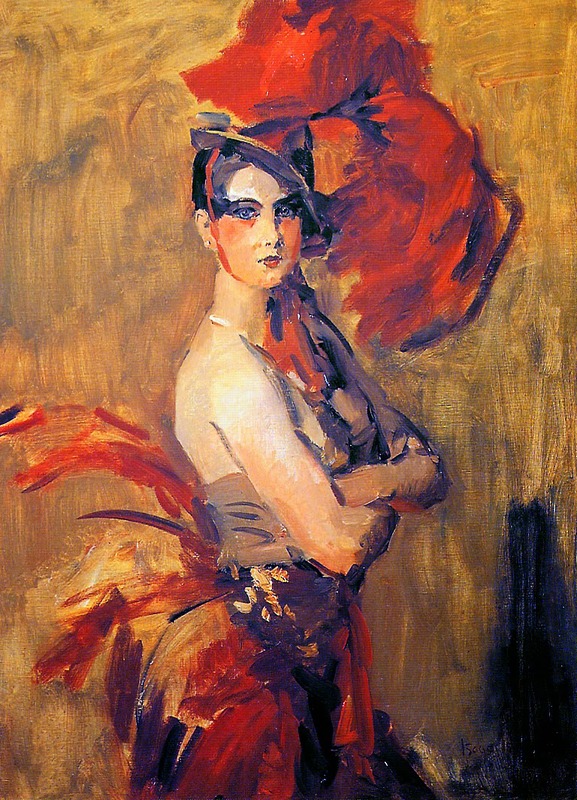 Amongst his sitters was Magaretha Gertrud Zelle, better known as Mata Hari, executed as a spy in France in 1917. 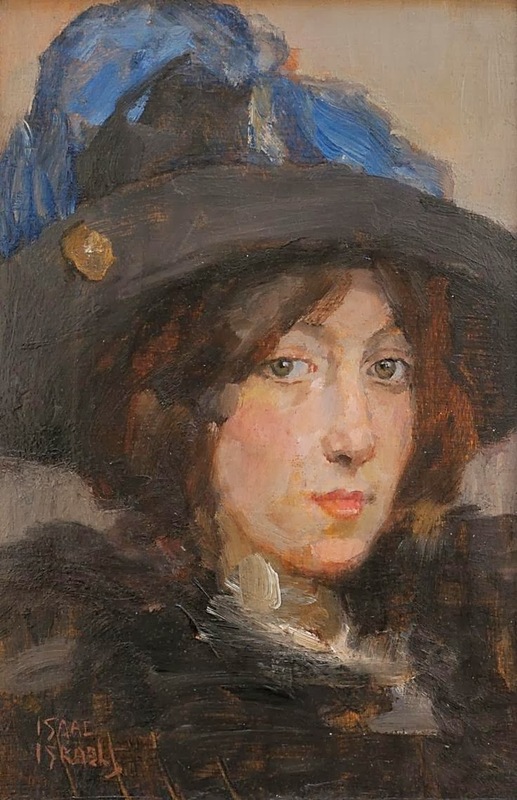 Her portrait can be seen at the Kröller-Müller Museum. 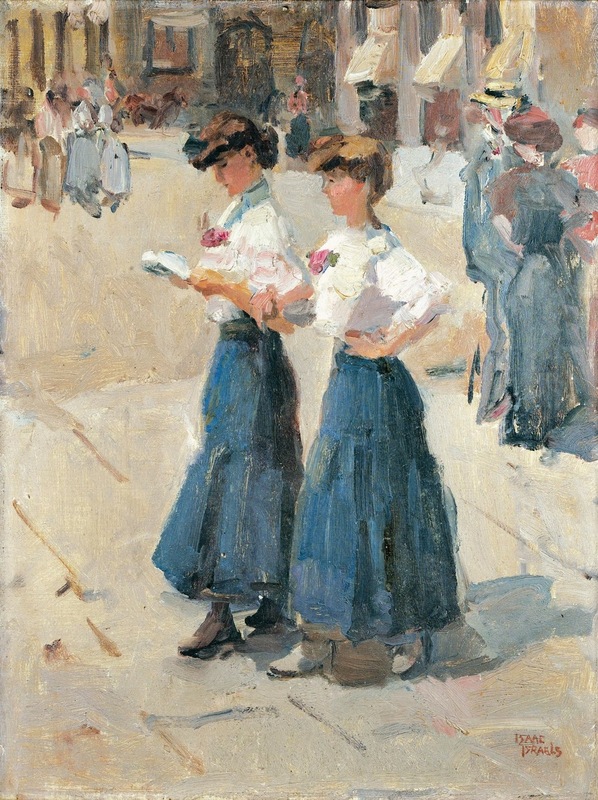 Other sitters included Johanna van Gogh-Bonger and the feminist physician Aletta Jacobs, although he also portrayed ordinary subjects such as girls in the street and telephone operators. 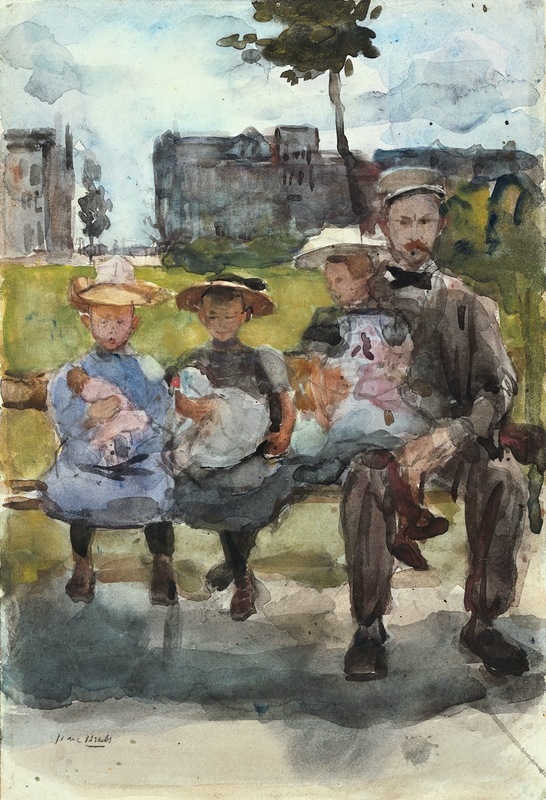 Following the war, Israëls visited Paris, Copenhagen, Stockholm and London. 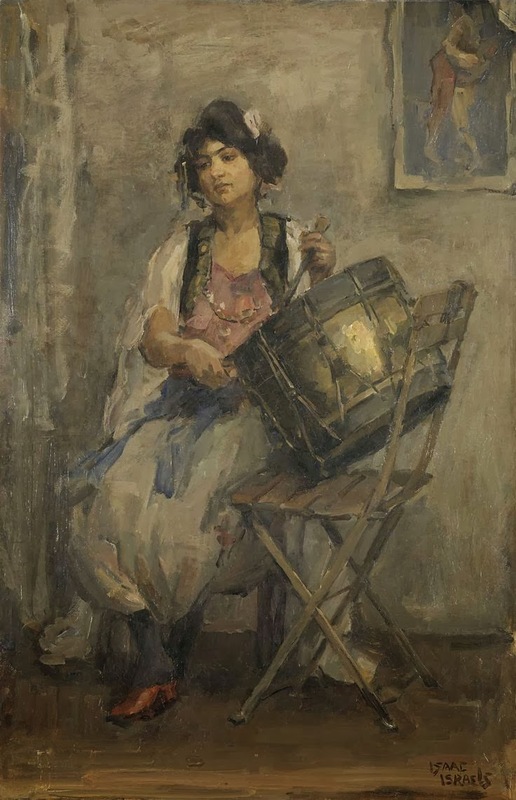 He spent the years 1921-1922 travelling in India and the Dutch East Indies, sketching and painting the vibrant life of South East Asia and notably the gamelan players of Bali. 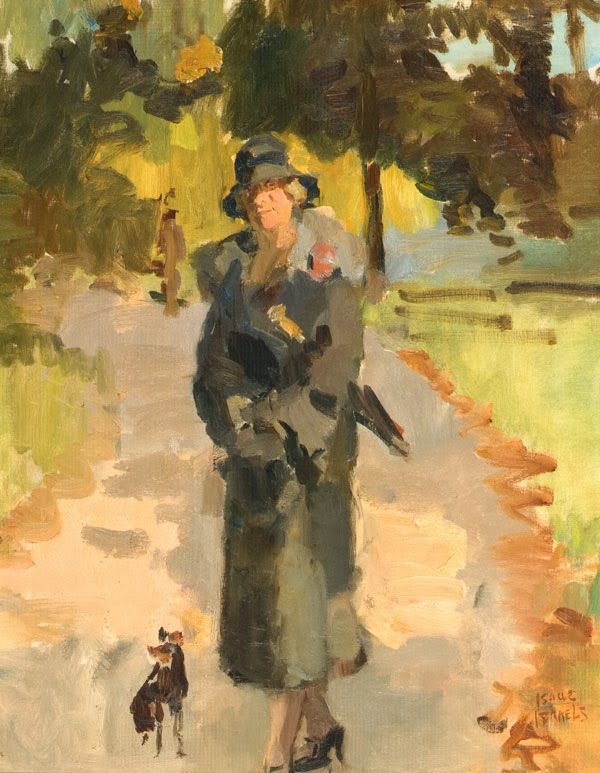 On his return, he settled at Koninginnegracht 2, The Hague, his deceased parents' home, where he remained for the rest of his life, nevertheless making regular trips abroad to London, Italy and the French Riviera. 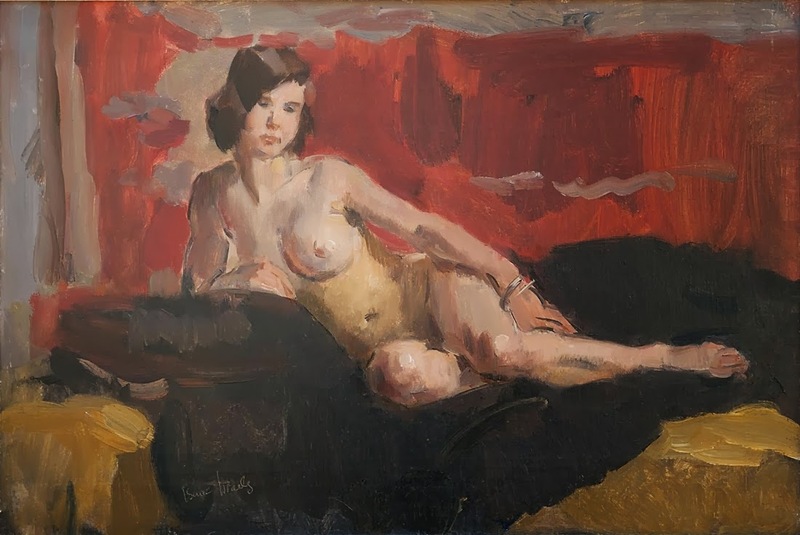 At the age of 63, he won a Gold Medal at the 1928 Olympic Games for his painting Red Rider, an art competition then being part of the games. 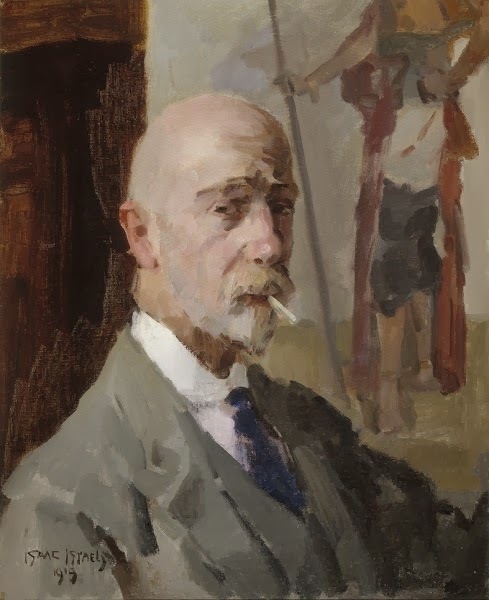 He died in The Hague on 7 October 1934, aged 70, as a result of a street accident a few days before. 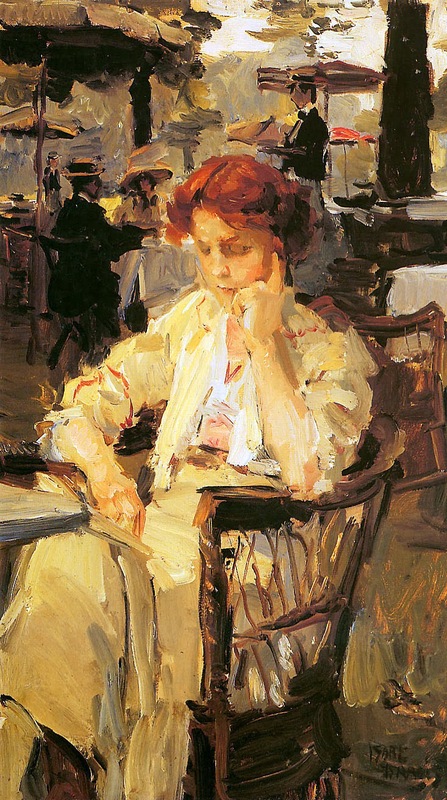 His partner at that time was Sophie de Vries. 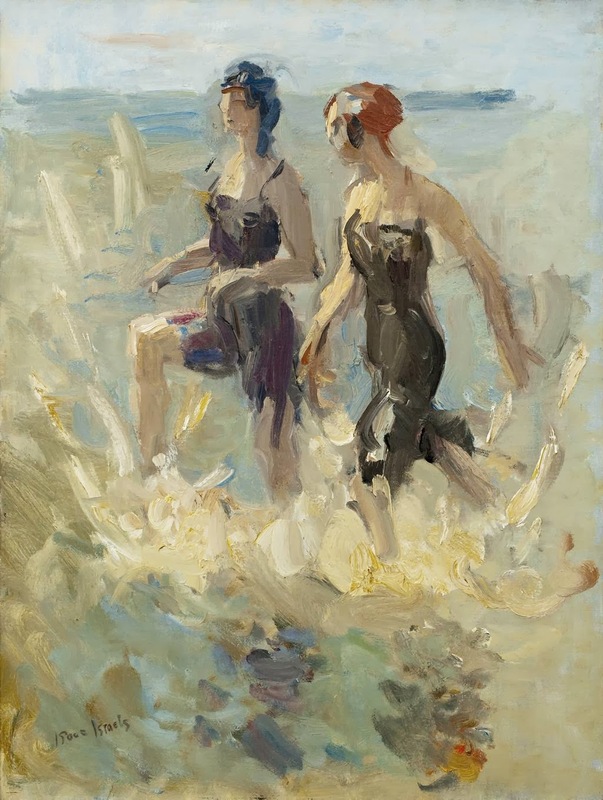 Isaac Israëls, nato Isaac Lazarus Israëls, (L'Aia, 3 febbraio 1865 – Amsterdam, 7 ottobre 1934), è stato un pittore olandese. 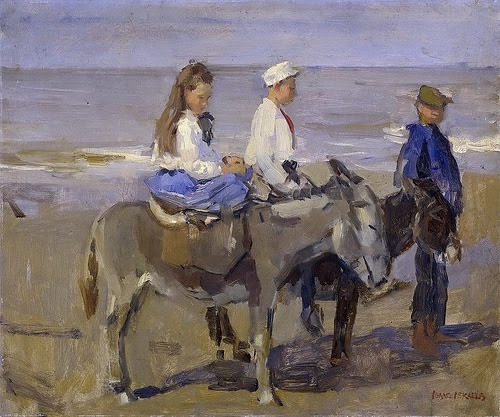 Pittore impressionista, è considerato uno dei maggiori autori dei Paesi Bassi del periodo a cavallo tra '800 e '900. 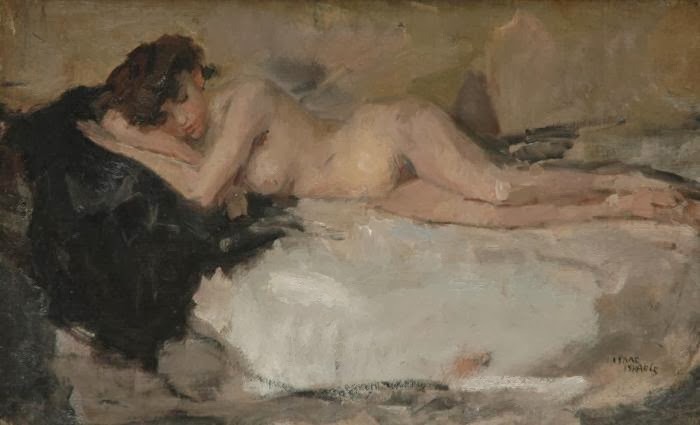 Figlio del noto pittore Jozef Israëls segue subito le impronte paterne, distinguendosi per l'innata abilità nel disegno, dove eccellerà per tutta la vita. 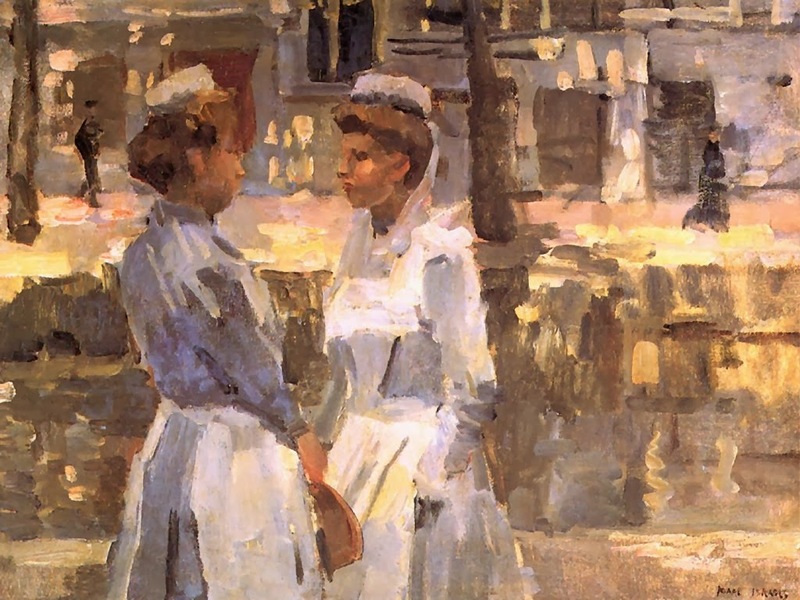 Tra il 1878 e il 1880 studia con profitto, ma nel 1811, ad appena sedici anni, vende il suo primo lavoro e decide di divenire anche lui un artista. Si trasferisce quindi ad Amsterdam dove si diploma all'Accademia di Belle Arti. 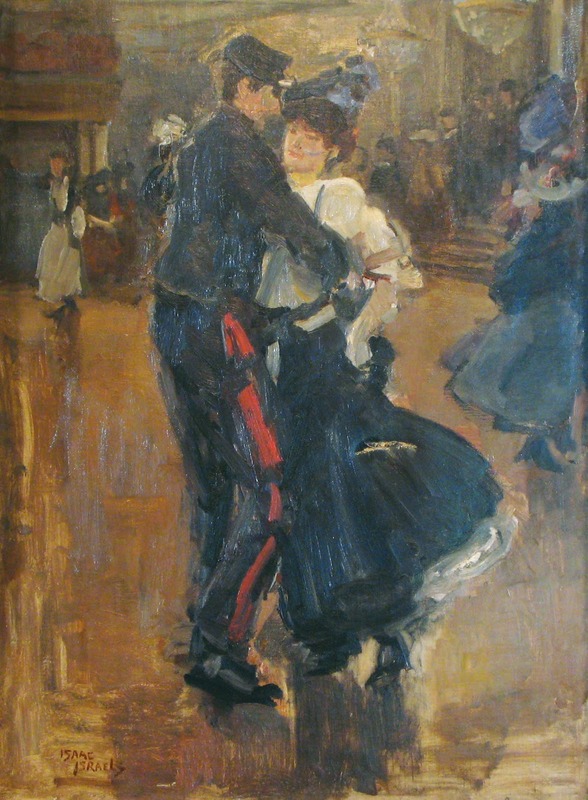 Ben presto incontra il successo del pubblico e nel 1903 si stabilisce a Parigi dove aderirà all'Impressionismo che perfettamente valorizza la sua linea cromatica, unico rappresentante in Francia di scuola olandese. 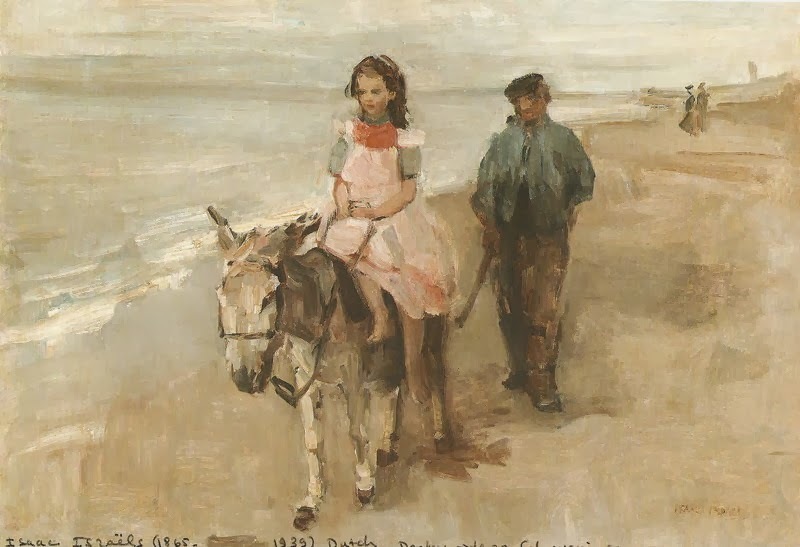 Un movimento che in Olanda ebbe come riferimento la cerchia della nella Hague School e i lavori di Louis Apol, Anton Mauve, che si perfezionò con Willem Witsen e Isaac Israëls, autori caratterizzati da una grande abilità nel segno, e dall'utilizzo di una tavolozza più colorata, con pennellate più morbide, capaci di rendere le "impressioni della vita urbana e rurale" come citava il manifesto ideologico del gruppo. 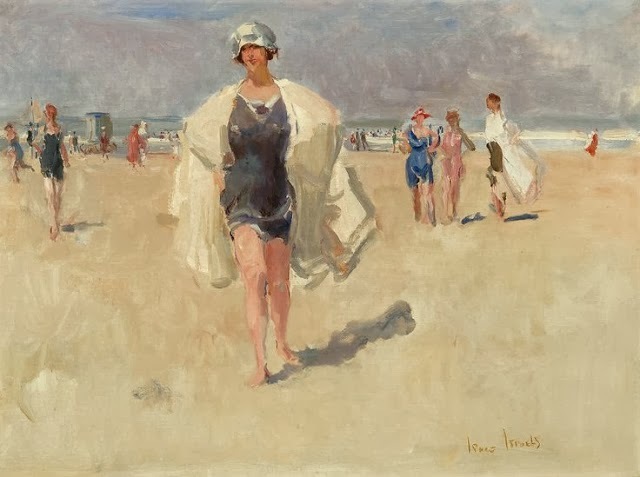 Successivamente Israëls andrà a vivere a Londra, raffinando la sua tecnica coloristica e la sua passione per la natura (boschi, mare, spiagge, i grandi giardini urbani della capitale inglese). Negli ultimi anni tornerà in Olanda, dove morirà, celebrato come un maestro, nel 1934. 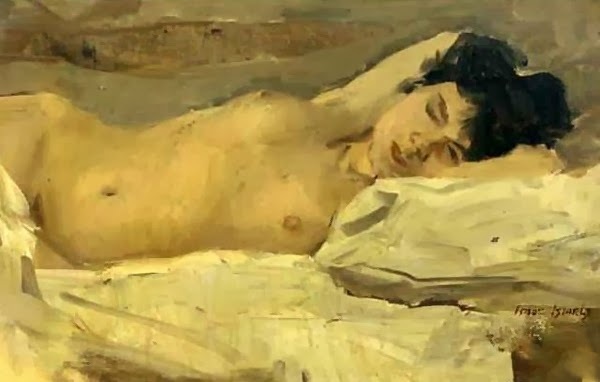 Le sue opere sono conservate presso il Rijksmuseum di Amsterdam e l'Ashmolean Museum di Oxford.